Thank you to all of our wonderful clients and caregivers for a great 2016. 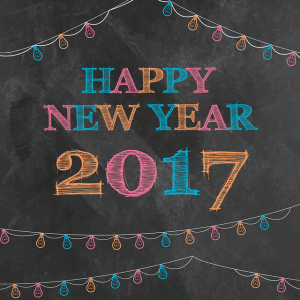 We are so excited to see what we can do together in 2017! We have some new and exciting permanent jobs for 2017! Read about some of these great opportunities below. 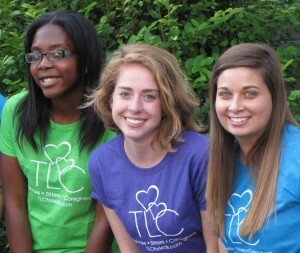 To learn more about them and to apply contact Chrissy at Chrissy@tlcforkids.com. Full-Time Live in Job in Jefferson City: Family moving to Jefferson City is looking for a nanny to move with them! Family with two young children needs a full time nanny approximately 40-45 hours a week. They will need some evenings and weekends, but most hours will be weekday. On weekends the nanny is not needed, she is free to come back to STL or go wherever. Pay is between $30,000-$35,000/yr. Would also consider a live-out nanny. Adult Part-Time Companion Care: 22-year-old girl needs afternoon care from 3:30 pm to 6 or 7 pm. Driving will be needed to pick her up from daytime program and bring her home. Developmentally she is age 3 or 4 and in the afternoon likes to go for walks, play with her balls or dolls. Pay is $21/hr. Part-Time Meal Planner/Housekeeper: Maplewood family is looking for someone to shop, prep and cook Paleo-friendly meals. Absolute hours needed are Tuesday and Thursday from 3-6 when the two school-age girls need to picked up and watched. The other hours needed to clean the house and prep the meals are flexible. Pay is $15-$17/hr. After-School Nanny: Family in Clayton is looking for a nanny M-F from 3-8pm. Could start at 2pm if nanny wants more hours. Nanny will be watching two boys who need help staying focused on school work. This family has a busy schedule and needs someone who can keep everyone on track. Nanny will also help with things around the house as needed and prepare dinner for the boys and herself. Pay is $15/hr. We have other great jobs jobs available too. Read about them on our job board. A recent article from the New York Post suggests that hiring a postpartum doula is the latest accessory for new moms. Moms give birth and then are expected to do it all. However, it’s not easy to handle the stress of bringing a new baby into the home. A doula can help. doula is a Greek work and means “women helping women.” The postpartum doula is there to nurture the new mom. She helps mom with whatever needs to be done. It can be cleaning, cooking, running errands, taking care of the baby or playing with a sibling. Many doulas have newborn care training and can offer mom support in nursing, bathing and sleep training. Hiring a doula can provide mom the support she needs to ease into motherhood. TLC Florida has doulas in Miami, Fort Lauderdale, West Plam Beach, St. Petersburg, and Tampa. Some doulas are willing to travel if expenses are covered. Visit our website at tlcforkids.com to learn more. To read the full article from the New York Post click here .